And if you have forgotten, this fellow Peter Obi, who reports have revealed is a homosexual, ascended the throne of Anambra state governor on the platform of APGA, riding on the shoulders of His Excellency, late General Chukwemeka Odumegwu Ojukwu. The late General, having instructed that APGA be used as the political front of his lifetime project - Biafra freedom - and having gotten reassurance from the double faced Obi, threw his weight behind him. But Obi, upon getting to office, turned his back on all agreements, pursuing his self-interest rather. Records are there to remind all and sundry of Obi's pledges and reiterations never to leave APGA for any other party. But today what have we? Has he not dumped APGA? Has he not joined PDP? And this is the same PDP that his own mouth called devilish, corrupt, and harbinger of death. Does anyone need prism to see that this self-seeking man is not just double faced but a shameless dog that returns to its vomit? Now put it all together and ask yourself, "can such a rapacious fellow serve your interest? Can such a double-faced fellow stick to any word uttered in campaigns?" And if the answer to these two questions is no, why then do you want to go out and stand under the harsh sun just to vote? Does Obi love you and he carried his 15 billion naira worth shopping mall to Abuja? Why did he not build it in Port-Harcourt, Calabar, Enugu, Umuahia, Asaba, Warri, Owerri, or Uyo? He didn't because he doesn't really care about you; he didn't because he wanted his Hausa/Fulani masters to see him serving the interest of the North rather than the East. He knew of course if he built it anywhere in Biafra land the suffering people of Biafra will gain employment, and he didn't want that. He wanted the Hausas to benefit instead. That's the depth of love the man for whose sake you want to go and stand under the sun has for you. What the mentally bereft folks clamouring for this vermin have failed to grasp is the significance of the melodrama that played out late last year at the Enugu Adoration ground on the bazaar day. Peter Obi clearly demonstrated his serpentine nature and Reverend Father Mbaka saw him for whom he is - an untrustworthy fellow. If Obi could have such temerity to outsmart God, who then do you think you are that he will not dribble? Obi seeks nothing but self-enrichment. Put him to power and you will cry had I known. Atiku Abubakar - another homosexual secret eyes tell - has through political harlotry clinched the PDP presidential ticket. 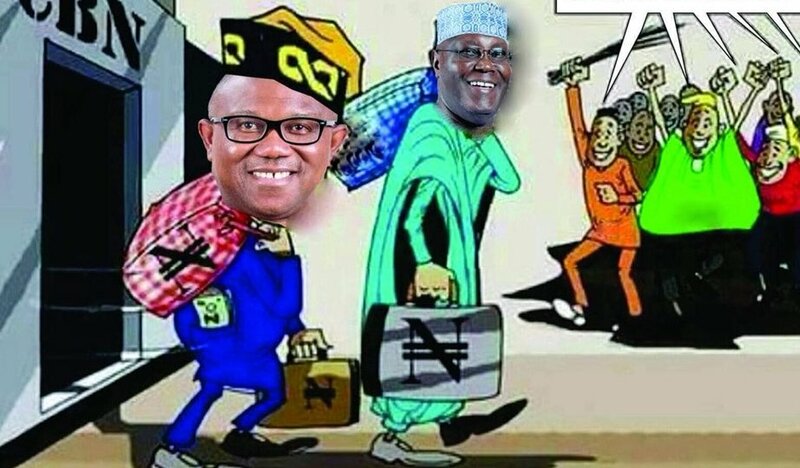 Just in case anyone has forgotten, Atiku has moved in and out of PDP a record two times, his self-interest oaring him on. What a dishonorable man! Isn't it interesting that two political harlots are conjoined and are positioning selves to rule you? Isn't it interesting that Atiku picked a fellow homosexual? Imagine what a country controlled by homosexuals will be. Imagine what a country ruled by self-seeking duo will be. Only if the animals and the Northern Hybrid Igbos will listen. 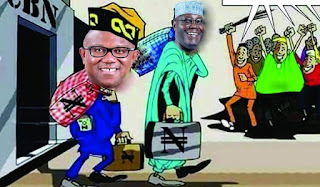 Peter Obi is a big threat to Biafrans. But I believe that the judgement day is coming .. His blood wil be used for reconciliation..
https://twitter.com/MaryBernstein14/status/1093802944888074240 Great article. I always suspected Atiku gay. The reasoning behind so many wives to give the impression he is a ladies man. The reasoning behind his 10,000 prostitute supporters to deflect any speculation of his true orientation.